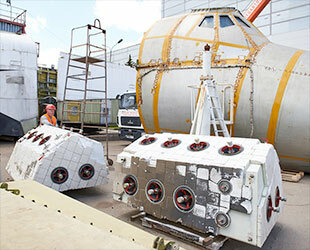 — A full-size mockup of a Russian space shuttle is leaving Moscow for an exhibition center opening at the site of the 2014 Winter Olympics. RSC Energia, Russia's lead contractor for crew spacecraft, handed over the winged orbiter to Sirius Science and Art Park in Sochi during a ceremony held Tuesday (June 27) at the corporation's control and testing station in Moscow. 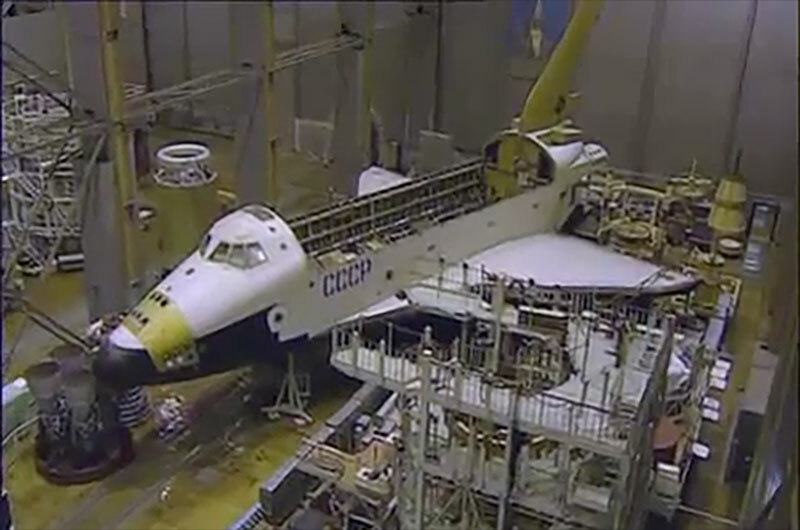 The Buran test vehicle, divided into its larger components, was loaded onto trucks for what is expected to be a week-long transport by road and sea. 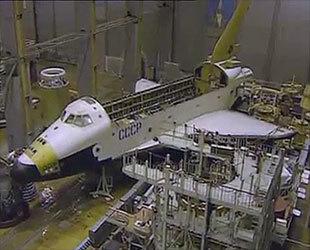 "We're giving Sirius our Buran, where it will find a new life," said Vladimir Solntsev, Energia general director, as quoted by the state news agency TASS. Slated to open in 2018, the Sirius Science and Art Park will comprise an indoor science-themed attraction in the space previously used as the media center for the XXII Olympic Winter Games. Plans for the park include the later addition of zones devoted to different science disciplines, including space and astronomy. One of ten Buran vehicles constructed between 1982 and 1992, Energia's OK-KS orbiter was built to support ground tests, including flight software development and electrical and radio trials of ship systems and equipment. Its exterior is missing the thermal protection, or heat shield, tiles that would have made it space-worthy, but the orbiter includes a flight-like interior. Only one Buran orbiter ever made it into space. Launched on Nov. 15, 1988 without a cosmonaut crew on an Energia rocket, the space shuttle completed two orbits of the Earth before landing on an airfield at its launch site, the Baikonur Cosmodrome, in what is now Kazakhstan. Five years later, the program was canceled due to budget constraints in the wake of the fall of the Soviet Union. In 2002, the flown-in-space Buran was destroyed when the roof of the hangar where it was in storage at the Baikonur Cosmodrome caved in. Of the remaining Buran craft, several are now on display. 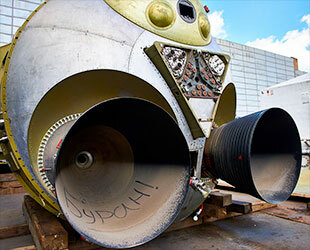 In addition to the Sochi-bound OK-GS, another test vehicle (OK-M) is exhibited outside of the museum at the Baikonur Cosmodrome. 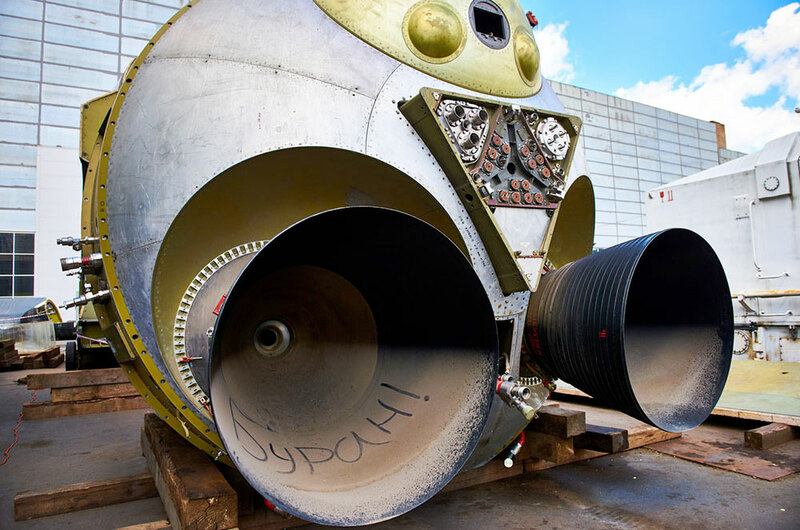 Yet another, built up from various test parts, was moved in 2014 from its longtime display at Gorky Park to the All-Russian Exhibition Center, or VDNKh in Moscow. A full-size crew cabin that was used for human trials is now outside a clinical hospital, also in Moscow. OK-GLI, an atmospheric approach and landing test vehicle similar to NASA's prototype shuttle Enterprise, is exhibited at the Technik Museum in Speyer, Germany. It was earlier displayed at the Summer Olympics in Sydney, Australia in 2000. Two other Soviet-era space shuttles still sit inside hangars in Kazakstan. The convoy carrying the OK-GS is expected to travel along the Russian federal highway M4 beginning on Thursday or Friday (June 29 to 30) to arrive at Port Kavkaz by Monday, July 3. 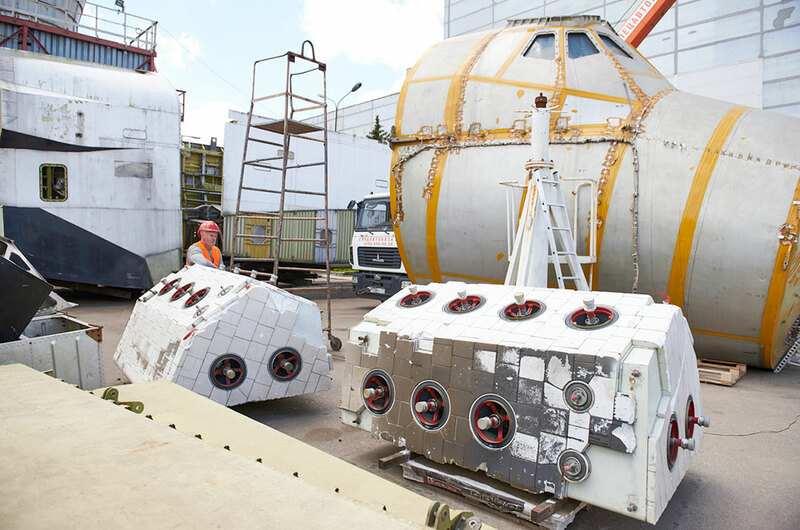 From there, the orbiter will be loaded onto a ship for a two-day trip to Imeretinsky cargo port in Sochi, built for the Olympics. Solntsev said that RSC Energia had been offered "a lot of money" for the Buran OK-GS, but they "decided to leave it in Russia to work for the future of the country." In addition to the shuttle orbiter, Energia is also providing the Sirius Science and Art Park with a mockup of its earlier proposed Kliper (or Clipper) winged spacecraft, which was intended to fly with a crew of six to the International Space Station but was canceled in 2006 due to budget cuts.